Hello peeps, back to the usual busy lifestyle with work and blog now. I kinda miss my blogging days and now I am back. I was feeling more contented and happy to have this kind of sharing and interact moments with my readers. This time round I would love to introduce this Phiro Back Support from Jonlivia. Jonlivia is a famous brand of Sweat Belts and Slimming pants.Their purpose of inventing slimming belts and pants is because fitness and slimming now has been the trending of the community. Also, we tend to opt for faster and quickest way of slimming down due to busy schedule and lifestyle. Hence this is how Jonlivia has quickly become the tool that helps and aids the community to slim down easily and faster way. If you interested to know more of their products, feel free to visit their website here. 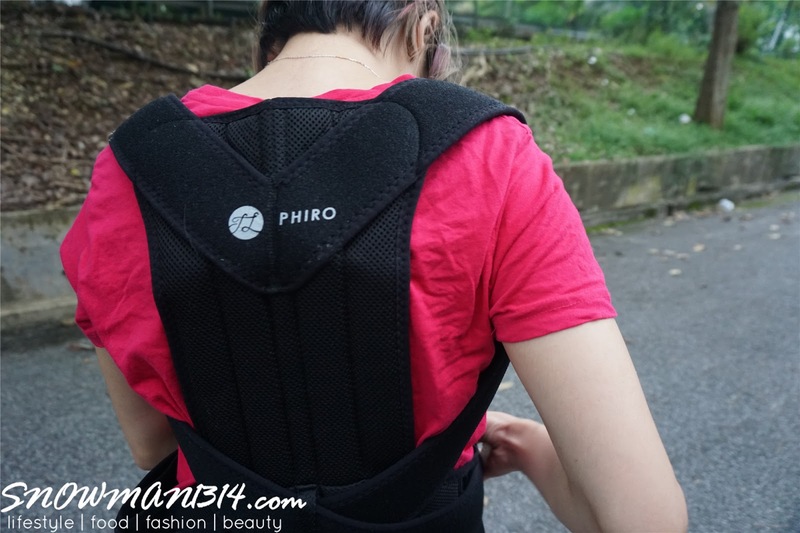 My first trial on their Phiro Back Support, besides having the slimming belts and pants. Jonlivia also does design back support and slimming support too. Which I find it helpful who those who are in need. I don't a really bad hunchback but people like us who sit in front of the laptop all the times, we do tend to have a bad sitting position that we might not even notice. If you are suffering from back pain due to the incorrect way of standing and sitting, you might just need a little help from Jonlivia Phiro Back Support. Not only that it helps to correct your sitting and standing posture, Jonlivia Phito Support can helps adjust curved spine or hunchback too! 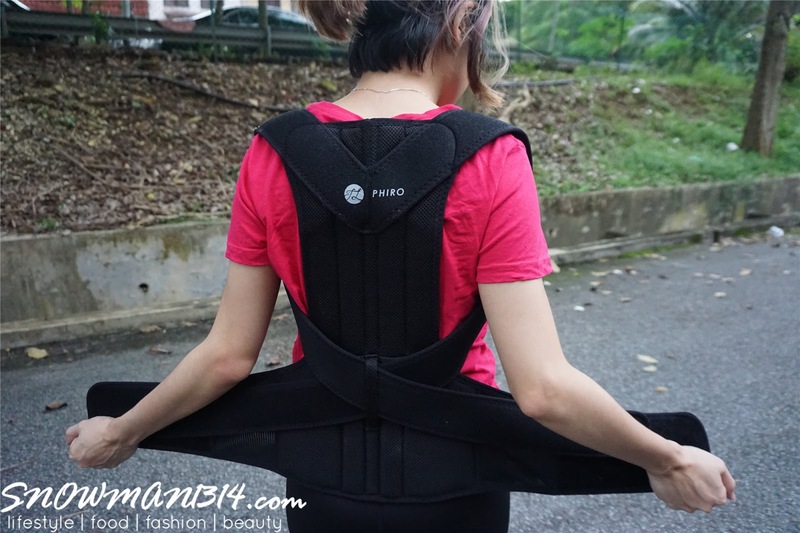 This Phiro Back Support not only helps to correct your poor posture of standing or sitting but it helps to train your body to keep your shoulders back! It easily pulls back Your Shoulders, Straightens Neck and Aligns spine too. Which I find it really cool about it, with the correct posture it also helps relieve posture related to back pains, shoulder pains, and headaches. If you are asking me whether is it hard to wear it or put it on, it was never been that hard that I thought. 1. Put on Jonlivia Phiro Back Support. 2. Extend the waistband and pull down below the waist. 4. Try to let yourself to be comfier as possible. Do not restrain yourself too much when you wear it. 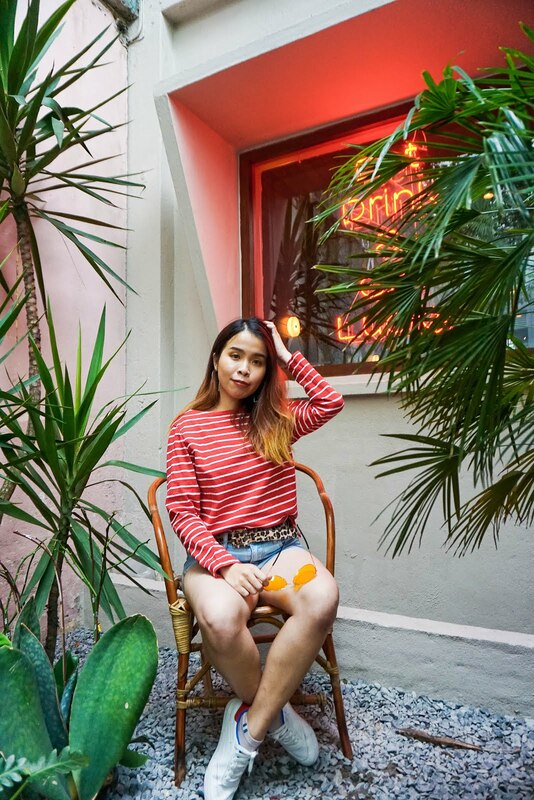 The Jonlivia Phiro are designed with 2 secure waistbands which to be more secure and more adjustable to the suitable and comfy level that you want. The one that I hold is the smaller and thinner waistband. Ta Dang! Done buckle me with Jonlivia Phiro Back Support. 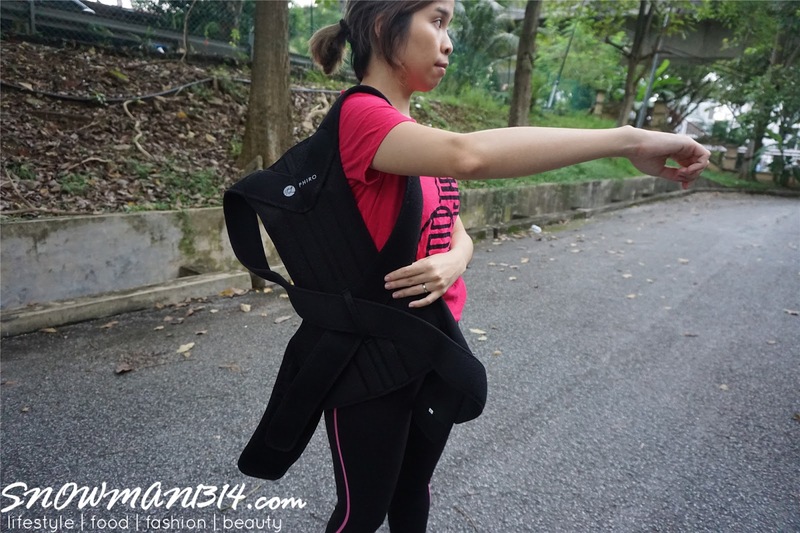 Nobody wants to have a hunchback body while walking, but with the support from Jonlivia Phiro, you can train yourself walking elegantly and to walk like a model. In the mean time, this can also train your confidence with a good posture of walking and a sitting position too. "Confidence comes from a BETTER POSTURE with Jonlivia Phiro"
Yes exactly! I get what you mean Emily dear! I love to try out their back support. Good for posture. This is very interesting! Especially as I teach yoga which is all about aligning the body and improving posture and confidence. I can see how this would help office worker who work long hours. I wonder how much is this ? Wanted to get 1 for my father. Do check it their official website! This seems to be a promising product, would like to try it out. Thanks for sharing about the back support. I will share the info with my friend who need the support. Definitely need this since we have been sitting in front of laptop for hours! True! We need to maintain a good posture. Thanks for sharing! good product! !Can straighten back!! !No more back pain!! This is a nice back trainor. Sometimes i do slouch and i know its bad. Thanks for your recommendation! I like to think that PLKN corrected my posture. Lol. But lately, been feeling shoulder pains since starting work and facing laptop. This is good especially for women who carry weight. I think working mum can try it too! !